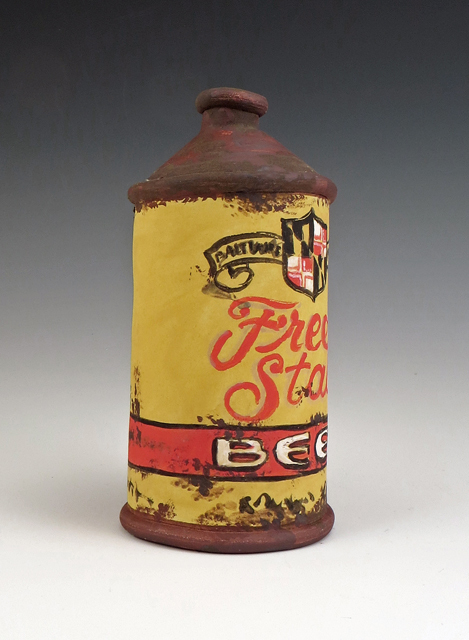 View cart “ABC Conetop Beer Can” has been added to your cart. 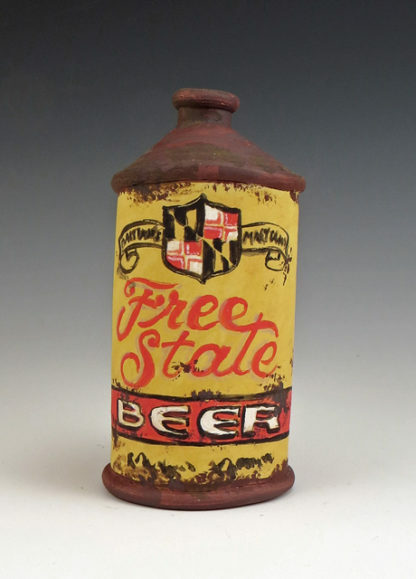 Completely hand-formed and decorated, this conetop beer can features the vintage label from Free State Brewery of Baltimore, Maryland which operated from 1933 to 1950. That’s the striking pattern for the flag of Maryland in the coat of arms on top. 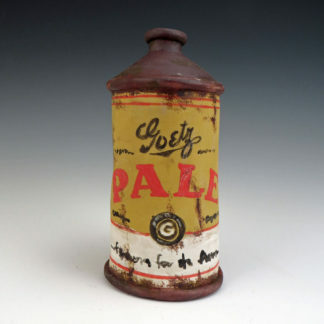 The can is in red, yellow, black and white. See all the photos to enjoy it full circle. This ceramic conetop beer can reflects the label of the vintage Free State Beer of Baltimore, Maryland. 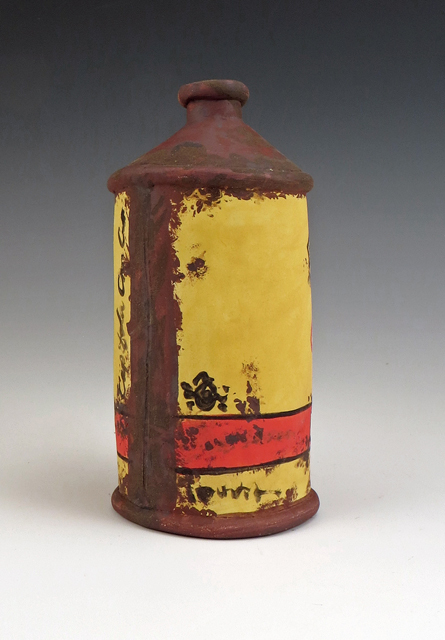 It features a great color combo of black, white, red and golden yellow. 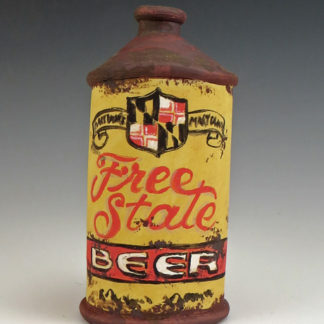 It is entirely hand-formed with fired-on ceramic colors. 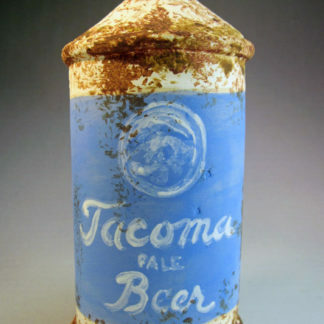 There are touches of rust and signs of use. 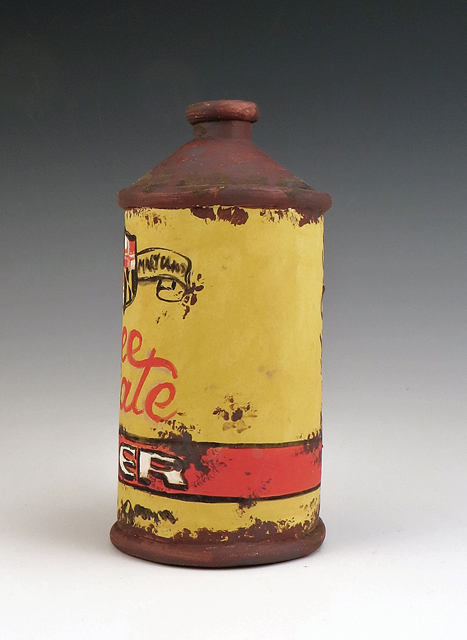 The interior lining is food-safe, so go ahead and fill it with your favorite libation. 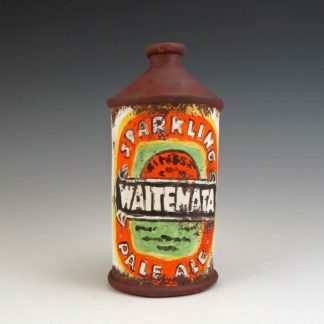 Enjoy its looks up on the shelf, too, perhaps in a line-up of other striking ceramic conetops.